Prizes are as follows, along with their cash equivalent. 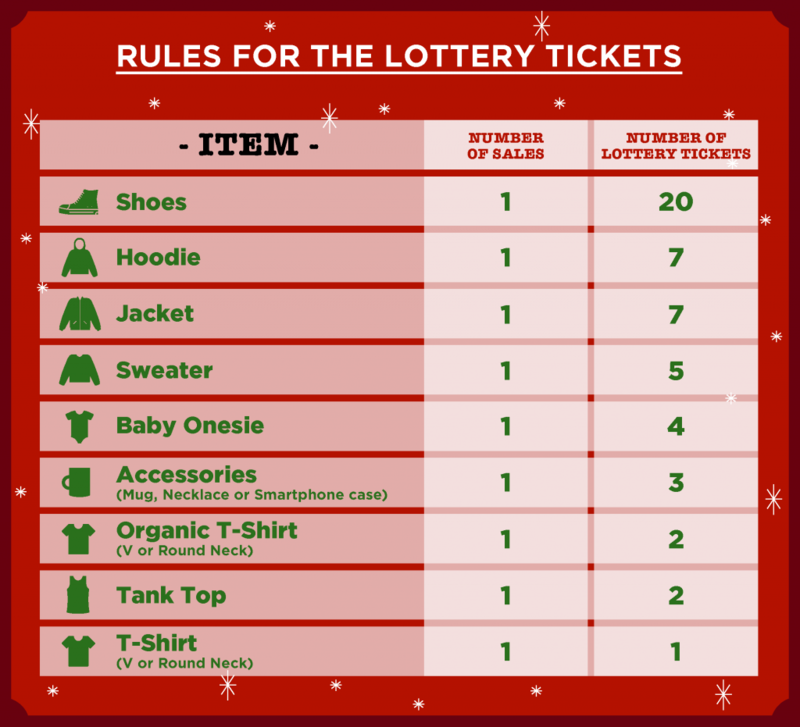 Should the winner prefer to have cash instead of the prize, they will have to inform Teezily of their decision within ten (10) days after the winning notification. 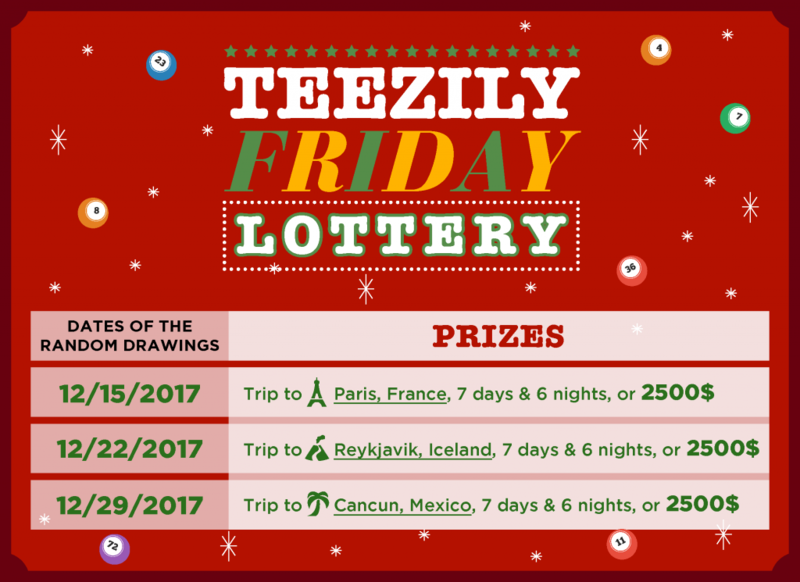 The Teezily Friday lottery targets all the Teezily sellers around the world. The sales count is renewed each Week on Thursday, at midnight. Sales count from Thursday at midnight, D-7 before the lottery until the next Thursday 11:59 pm. By completing the form, participants agree to be bound by these Official Rules and the decisions of Teezily, which are final and binding in all respects. Entrants who do not comply with these Official Rules, or attempt to interfere with the Promotion in any way, shall be disqualified.